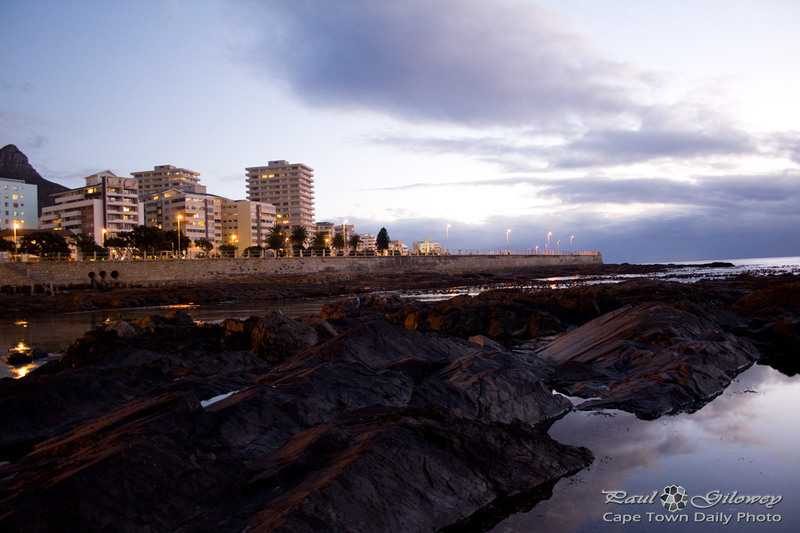 Posted in General and tagged buildings, night, sea, sea point on Tuesday, 17 July, 2012 by Paul. Love this photo of 3 Anchor Bay…the reflecting sky, the beautiful slate lines on the rocks makes it feel and look like a soft sculpture with the blue grey sky a canvas background. The hazy sparkle of lights on the promenade. Miss those walks. That would be an amazing picture along a wall, yes it would have the effect of looking out onto that like a window onto the sea. Wonderful idea. All those shots of sea point, three anchor bay bring back memories, I used to live there. Ah, I see Pauline – I’d also miss living there if I’d done so before.